September is a great time of year to get my business network together and say "Thanks" for all you do to help me and my clients. Last week we got 24 of these trusted individuals together for breakfast at Joey's Custard in Bailey's Plaza. A good time was had by all. If you need a referral for an Island business don't hesitate to ask and you can always check out my On-Line Business Directory. On a business note! Our summer is winding down and now it's time to start thinking about our upcoming winter season. We think this will be an active real estate season and we have a good inventory of properties to show. 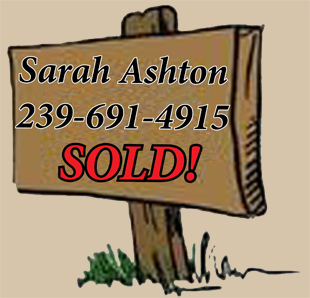 We also expect more listings as our busy season approaches. We currently have 119 homes listed on Sanibel, starting at $369,000 up to $27 million! For condos we have 92 Sanibel listings, starting at $229,000 up to $1,899,000. Building your own home is always a great option and we currently have 63 homesites listed, starting at $100,000 all the way to over $2 million! I'm positive we have just the right property for you! We also have quite a few income properties available. Many Sanibel condos produce quite a bit of income and have on-site rental offices with great reputations. Also, another popular way to rent is to use the website VRBO (Vacation rentals by owner) if you want more personal control over your rental. Be sure to ask me about condos you are considering if you want to have a productive rental. Some condos can be rented by the day, some only by the week, and some by the month with a limit on maximum number of rentals per year. Many of the rental restrictions depend on what year the condo was built, or the location of the condo. All single family homes have rental restrictions. Contact me and I can answer all your questions about Sanibel Island income property. The search feature on my website is user-friendly and you can see what's available by location, price, size, or just about any criteria you want! Or you can just give me a call and I will organize a list, with photos, of all properties that would fit your needs.